Welcome to Viking Bags.com. Viking Bags manufactures all of the items that are listed on this website. 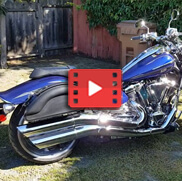 Viking Bags are unlike any other motorcycle luggage company on the internet, Viking Bags makes their own products at their own factories and sell them at their own cost. Viking Bags are not limited to minimum advertised prices and other things that limit other websites. Viking Bags are located in the greater Los Angeles area but have warehouses nationwide. All Viking Bags' products are made from premium quality leather. 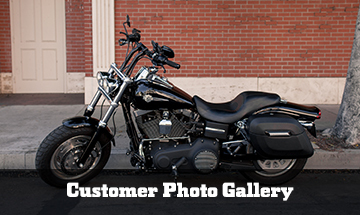 For example, the motorcycle saddlebags, Viking Bags is known for, are designed and manufactured in-house. All designs are done by bikers and for bikers in order to last longer, look better, and provide all the comfort that a modern biker needs. 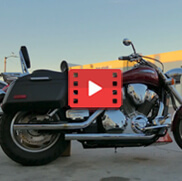 Viking Bags is one of the world's largest motorcycle luggage online retailers in the world. 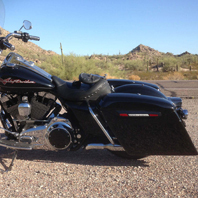 Viking Bags sells saddlebags, both leather and hard saddlebags, for most popular bike. 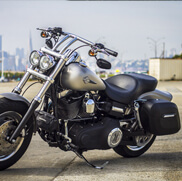 In addition to saddlebags, Viking Bags offers; motorcycle sissy bar bags, chopper bags, motorcycle tank bags, motorcycle windshield bags, motorcycle trunks, motorcycle tail bags, motorcycle back packs, swing arm bags, fork bags, roll bags, handlebar bags and motorcycle tool bags. Looking for a bag for your bike? 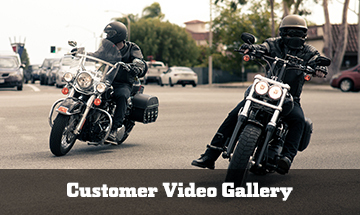 Don't worry as Viking Bags carries saddlebags for most models which includes the Saddlebags for Harley-Davidson®, Honda saddlebags, Suzuki saddlebags, Kawasaki saddlebags, Yamaha saddlebags, Victory saddlebags, Triumph saddlebags, Indian saddlebags, and Hyosung saddlebags line-up. If your bike is not listed as one of the bikes we have saddlebags for, we're probably already in development for them as you read this and there's a chance they will be available soon. We take pride in our R&D department as we're always looking for ways to improve our already existing designs and come out with new ones as new models of bikes come out every year. 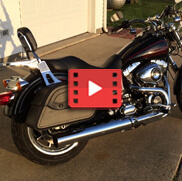 Viking Bags also offers multiple mounting options for most of these bags along with the shock cut out option for the motorcycles that have exposed shocks and need this in order to install the saddlebags properly. 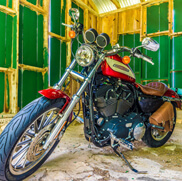 There's the standard throw-over mounting option, the hard mount which will require the bolting of the saddlebags to your fender rail, and the quick disconnect mounting option. 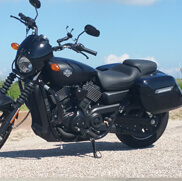 The latter option is still a hard mount, but only the QDS mounting posts are hard mounted to the fender rail and not the saddlebag itself. 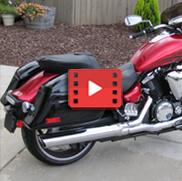 The QDS itself is easily removable as it will remain attached to the saddlebags making the removal of the saddlebags themselves a matter of seconds. 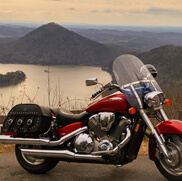 Look no further, Viking Bags offers the lowest price on motorcycle luggage, guaranteed!